I grew up vacationing in West Palm Beach, Florida. Well, Greenacres to be exact. I've been going there every year, since I was in the womb. The family and I would drive to Lake Worth Beach for the day and stop at Benny's On The Beach for breakfast. 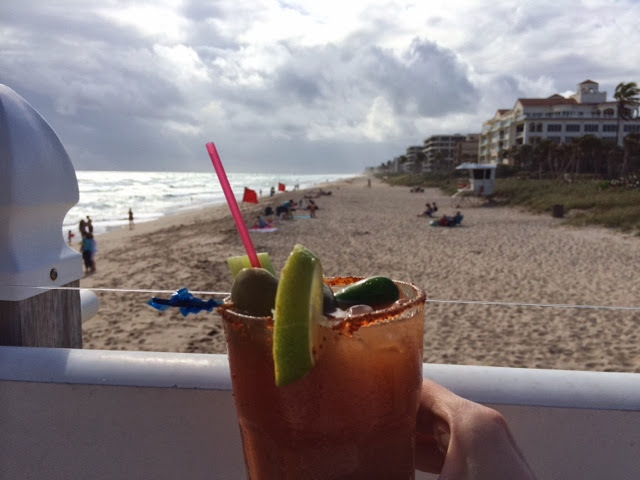 It's been a while since I ate at Benny's, but this past New Year's Day I had the best beachside brunch of my life. The 30-minute wait for our table was not a problem for us. The bar was outside serving up spicy Bloody Mary's and mimosas so we indulged. 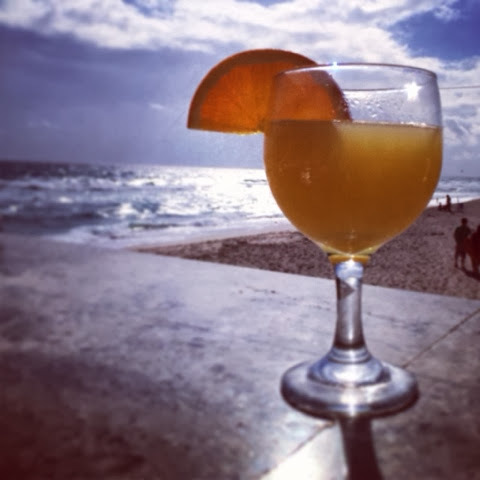 We sipped the hair of the dog while sitting on stools facing out towards the ocean. 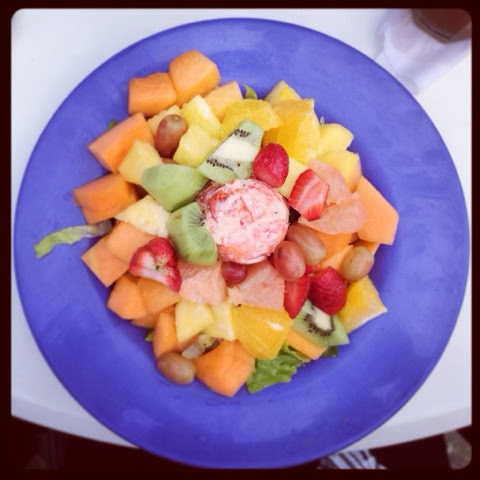 There was an energy in the air that could only be from a mix of detoxing and retoxing. Just when I thought food portions in the United States were gradually decreasing to conform with the rest of the worlds standards, Benny's proved me wrong. The first plate to arrive was about 2 feet by 2 feet. 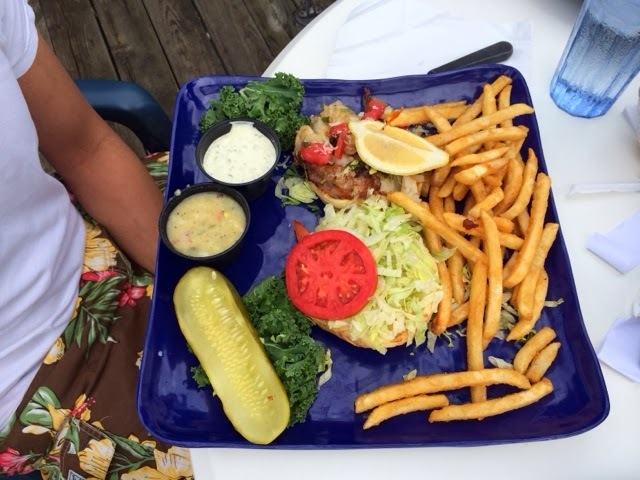 It was a grilled grouper sandwich that was super flaky and flavorful. The plate was packed with crispy french fries and a jumbo pickle sliced up like sashimi. I wanted to take advantage of all the seafood options on the menu so I ordered the lobster salad. It sounded healthier than the lobster roll. 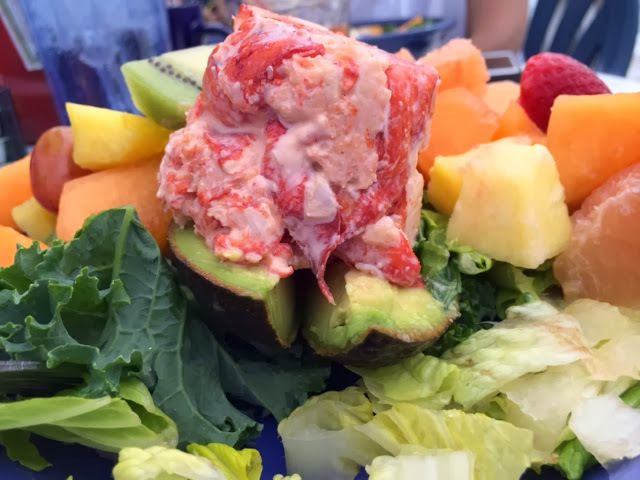 The dish came piled with fresh sweet fruit salad, and a lobster-stuffed avocado in the center.